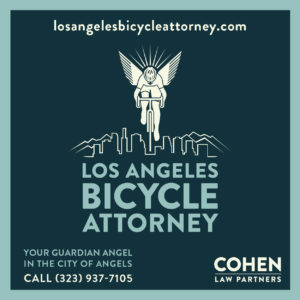 Last week was a rough one for LA area cyclists. Santa Monica police are looking for the hit-and-run driver who rear-ended a bike rider on Ocean Avenue last Wednesday; anyone with information is urged to call Traffic Investigator Jason Olson at 310/458-8954. An 82-year old cyclist from Marina del Rey was seriously injured when he was hit by a car in Palos Verdes Estates on Friday. And a bike rider suffered major injuries when he was hit by a UPS truck turning into a driveway in Baldwin Park Friday evening. 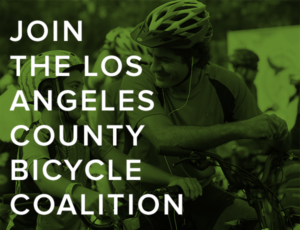 Streetsblog will honor two of their 2015 Streetsie Award winners this Thursday, Santa Monica’s Cyclehop/Hulu for the Breeze bikeshare program, and CA Assemblymember Richard Bloom. Specialized builds the bike of the future, sort of. Yet that doesn’t seem to be the only thing they specialize in, as they somehow resort to the sexist marketing of the past to promote their new e-bike. Maybe bike companies should be required to hire women to head up their marketing departments so the industry will finally stop shooting itself in the foot. Thanks to Megan Lynch for the heads-up. German pro cyclist Marcel Kittel says there’s no longer a systematic doping culture in the sport. Then again, that’s what Lance said. Of course, doping isn’t the only way to cheat; France’s Arnaud Demare is accused of getting a tow from a team car before winning Saturday’s Milan-San Remo race in a tight finish, while the peloton rode through a wall of smoke along the way. 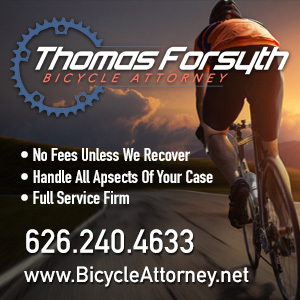 If you have a USA Cycling license, your personal data may have been hacked. Former pro Phil Zajicek remains in a medically induced coma after losing an arm when he apparently crossed the center line and crashed into a pickup while riding with a group in Boulder CO; he also sustained facial fractures, broken ribs, a shattered femur and an undisclosed head injury. A gofundme account has been started to raise $300,000 for his medical care and to support his family. Streetsblog reviews Sunday’s Beach Streets open streets/ciclovía in Long Beach; a commenter calls it more relaxed and less bike-oriented than most CicLAvias. Meanwhile, the Press-Telegram says over 50,000 people turned out to enjoy the day. Which is over twice as many as supposedly attended last year’s far more crowded Culver City to Venice CicLAvia. Investing in Place and the LACBC call for more funding for walking, biking and safe routes to school in Metro’s proposed transportation sales tax measure. Joel Epstein writes that density is LA’s destiny, and says a proposed anti-growth measure comes at the wrong time as Los Angeles is embracing its bike, pedestrian and transit-oriented future and putting it’s auto-centric focus in the past. LA’s Pure Fix offers advice on how to photograph your bike. You know the new Ovarian Psychos documentary has had an impact when their story reaches Pakistan. Caught on video: A Long Beach cop walks away when a BMX rider schools him on the law allowing bikes on the Rainbow Harbor Esplanade. Orange County’s Transportation Authority has $20 million to invest in boosting bikeways in the county. The Marines finally got around to releasing some of the mountain bikes that were seized for trespassing on trails crossing the Miramar base in North San Diego, after reaching agreements with the owners. If you’re still jonesing for open streets, head out to El Centro in the desert north of Mexicali this Saturday. Unbelievably, Fremont uses Safe Routes to Schools funding to make the street in front of a high school less safe by removing a bike lane to make room for a left turn lane. Update: It turns out the bike lane removal is only temporary during the construction, although using SRTS funding for a turn lane is questionable; thanks to Robert Prinz for the heads-up. Sausalito continues to struggle with how to deal with bike-riding tourists. The AP looks at lax penalties for errant drivers who hit cyclists. About damn time the press finally noticed. Good idea. An Austin TX company offers e-bike foodie tours of local restaurants. A Minnesota reporter wonders why the state shouldn’t adopt the Idaho Stop law now if it improves safety for bicyclists, and police aren’t enforcing the law against riding through stop signs as it is. Apparently, a British cardiologist would concur. Jeffrey Tanenhaus explains why he left his corporate job behind and rode one of New York’s Citi Bike bikeshare bikes across the country. A TV station asks if DC is moving fast enough on bike lanes; local cyclists say not really. A new kind of bike rack promises to block bike thieves; since they were installed at a London stadium and park, not a single bike has been stolen. Can we get some here? Pretty please? After a British bike courier was injured by a distracted hit-and-run driver, he turns to a crowdfunding site to raise money to pay his rent; so far he’s raised over five times the original £300 goal. An Irish cyclist is injured in yet another anti-bike attack, as someone strung a wire at neck height across a bike bridge. Note to press everywhere: a deliberate attempt to injure or kill someone riding a bike may be many things, but a prank isn’t one of them. A disabled Indian cyclist tries to crowdfund the money he needs to compete in the Rio Paralympic games. 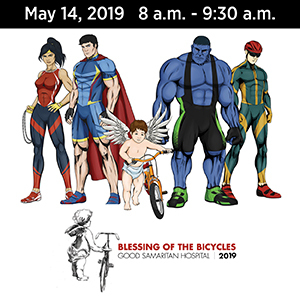 Israeli cyclists ride in honor of the legendary Gino Bartali, following the route he rode from his home in Italy to the convents of Assisi, where he passed on documents that were hidden in his bike to save Jews in WWII. A Kiwi website asks if it’s time to reevaluate New Zealand’s and Australia’s mandatory bike helmet laws. Although they may provide some protection from dead kangaroos. An Aussie feels guilty about the bike he used to get home from a drunken night out, and takes out an ad to find the owner he stole it from. The next time someone calls for registering bikes and licensing cyclists, remind ‘em that’s the way North Korea does it. If you’re going to leave an explosive device on a bike path, make sure police can’t defuse it by simply unscrewing the cap. When you’re riding after dark, try to keep your candles blowing out. And evidently, they have some very bad swans in Florida. Thanks Robert. I’ll make the correction.